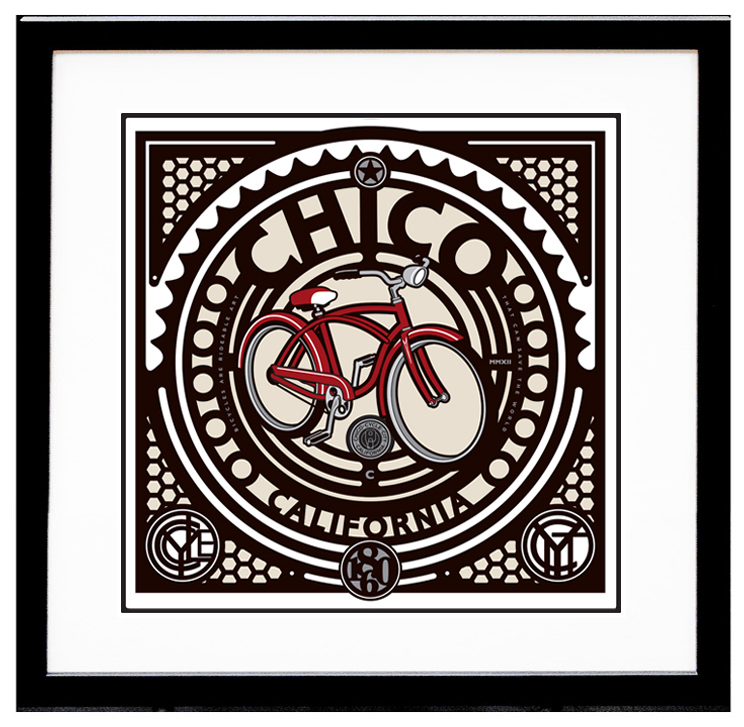 Our "Basic" frame package for Cycle City, as shown above, includes: acid-free foam core backing, archival double mats (Warm White top mat and Raven Black bottom mat; 2 3/4" overall viewable width, 1/4" reveal of bottom mat), standard plexi-glass, and a 1" smooth black, gesso coated wood frame. For other framing options, contact us. 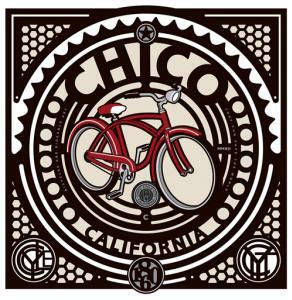 This graphic represents a city-wide celebration of Chico's bike friendly nature. A themed image is also available on first edition T-shirts, and may appear as a poster in the future.